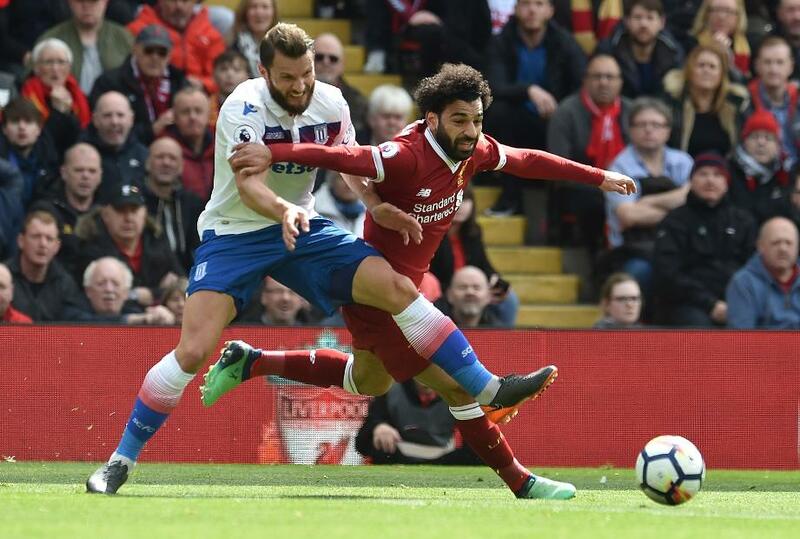 Mohamed Salah was denied a Premier League record as Stoke City held Liverpool to a goalless draw. The league's leading scorer was a goal from setting a mark for the most in a 38-match season but was shut out at Anfield for the first time since Boxing Day. It appeared Salah would get his 32nd goal of the season when he was sent through in the sixth minute, but his chipped finish went wide. Liverpool stay third on 72 points.